Hotel Delight Inn is a budget-friendly accommodation situated at Gachibowli-Miyapur Road just opposite Anjaiah Nagar bus stop. The tourist attractions within 30-minute drive near the hotel include Sri Kotla Vijayabhaskara Reddy Botanical Garden, Kasu Brahmanandha Reddy National Park, Qutb Shahi Tombs, and Golconda Fort. The most striking feature of the hotel is the decor, which is predominately made of polished wood. 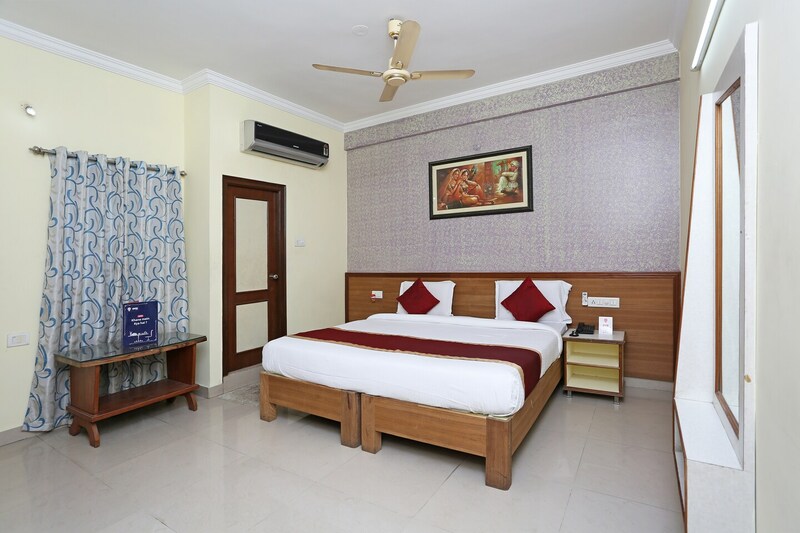 The spacious rooms have a king sized bed and come equipped with TV, AC, and geyser. Other facilities offered by the hotel include free Wi-Fi, power backup, and parking facility. Popular eateries near the hotel include Absolute Barbecues Gachibowli, Paradise, and Blue Fox.